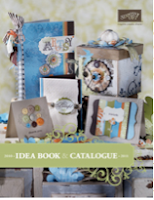 I'm like a little kid at Christmas when a new Catalogue is released! And the Occasions Mini is no exception! The first thing is on Page 6, the new framelits dies for the Big Shot. If you've got a Big Shot, this is an absolute MUST! 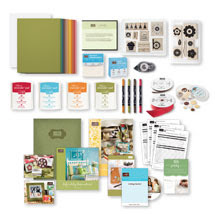 Each of the collections include 6 dies... perfect for scrapbooking, and card making, in seconds! 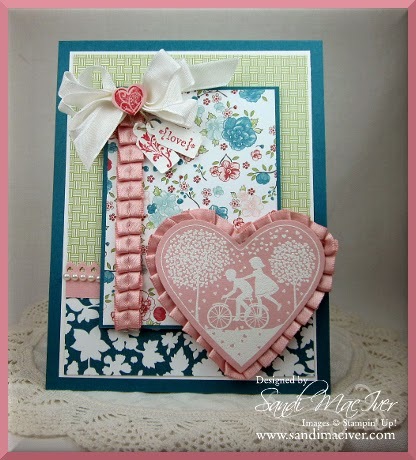 Don't forget to check out the stamp set Apothecary Art, that coordinates perfectly with the labels collection dies! 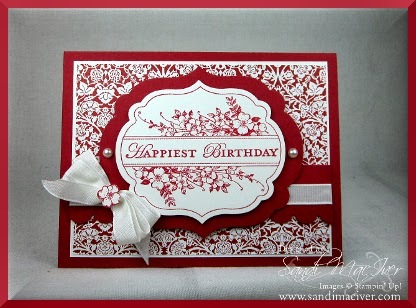 Here's a card using the labels collection by Sandi Maciver (http://www.sandimaciver.com/). 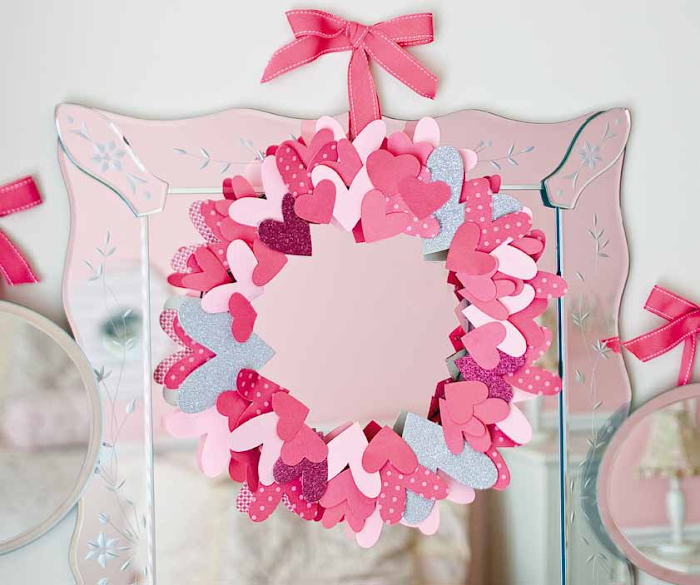 Isn't it stunning? 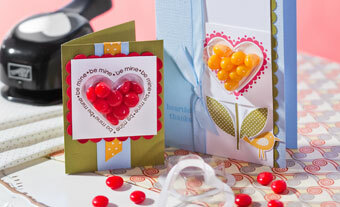 The next thing I have to point out is the stunning pleated satin ribbon (page 12). 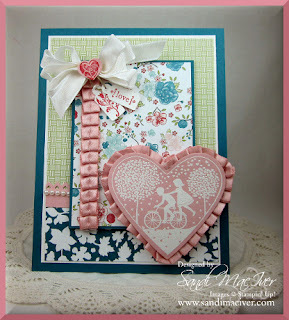 I love that this card also uses the beautiful stamp set Take it to heart (page 14) available in clear or wood mount. I have completely ran out of time to show more of my favorites... come back soon for the rest!